Oven Cleaners Home & Commercial Kitchen Chislehurst BR5 | Quality Property Care Ltd. Dial 020 3746 4287 now and get your oven and kitchen professionally cleaned. We use the finest equipment and detergents to guarantee a spotless and safe result each time you book with us. So feel free to call us anytime your oven and kitchen needs a professional care. We clean with certified and green cleaning solutions. We clean trays, pans, racks, panels, fans, light protector, control knobs and extractor filters. 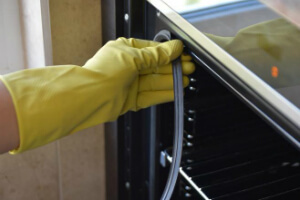 As an experienced cleaning expert that has been in the industry for many years, Quality Property Care Ltd. is a professional oven cleaning company that can take care of all types of ovens. We disassemble the kitchen appliances for more detailed disinfection. In the end, we re-assemble them for no extra charges. Submit an order for spotless oven cleaning in Chislehurst BR5. Make your meals healthier and nicer. We guarantee you to remove all the burnt and stubborn stains. We also eliminate the organic leftover residues and the sticky spots. Feel the difference in your neat kitchen and enjoy your cooking with a sanitised and freshed up oven. It is cheap and easy now! To ask about current deals, and to book the professional oven cleaning services, you need to send and online booking form or call on 020 3746 4287. You will receive a written confirmation in your email and as a SMS. No deposits and no hidden fees. Combining several cleaning services will earn you a great discount.